Italian Eni has estimated the cost of implementing the Zohr gas treatment plant to be $5bn, with a capacity of 3.2bn cubic feet of gas daily, in order to connect the production of the project that is estimated to be 2.9bn cubic feet. A source at the oil sector told Daily News Egypt that implementing all the gas processing units of Zohr will be finished by the second half of next year. He explained that five units in Zohr’s processing plant were completed until now, with a total capacity of 2bn cubic feet of gas daily. The source added that implementing the sixth natural gas processing unit in Zohr will be finished in December, increasing the total capacity of the processing plant to 2.4bn cubic feet of gas daily. Plus, the source explained that the company connected the production of eight wells in the Zohr field to the deep waters of the Mediterranean, estimated to be 2bn cubic feet of natural gas daily. Completing the ninth well will be finalised next month. He pointed out that developing the second phase of Zohr will be in July, increasing the total production to 2.95bn cubic feet of gas daily, instead of the 2.7bn feet estimated in the development plan. Eni targets investing about $4bn in developing the second phase of the Zohr field in the deep waters of the Mediterranean next year, taking the total investments up to $16bn. Furthermore, the source added that the ministry has succeeded in cooperating with foreign partner Eni, to reduce the time required for the project, and take the production rates from the Zohr field to 2bn cubic feet of gas daily this month. A record was achieved in terms of the time required for the Zohr projects, as the exploration took place after only a year and a half from the time the agreement was signed, and six months from achieving the exploration until production started in mid-December 2017, compared to a previously estimated period ranging from 6 to 8 years globally. 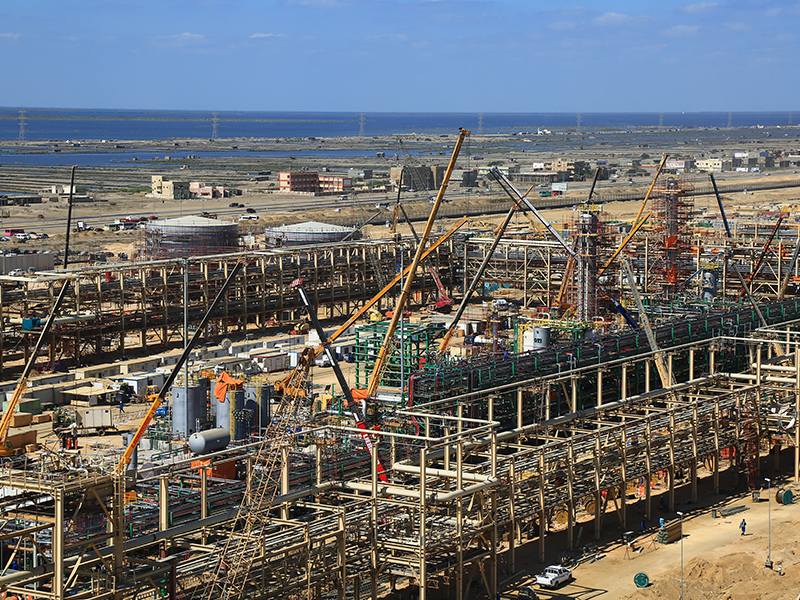 The production is connected to the new land plant in Al-Gamil area, Port Said, in order to be processed and pumped into the national gas grid, after the technical operation tests were conducted for the processing units, and the gas transfer lines from the wells of the field were connected to the processing plant.